Need a theme for a computer store? Looking for something bright and eye-catchy? Then we have what you need. compare has an attractive design with many additional visual effects. Moreover, it is easy to edit and you can simply drag and drop elements. It has many pre-built pages and provides customers with intuitive search and navigation. In case you want to inform customers about something you can use a blog and social option. Or you can use the gallery to present visual content. 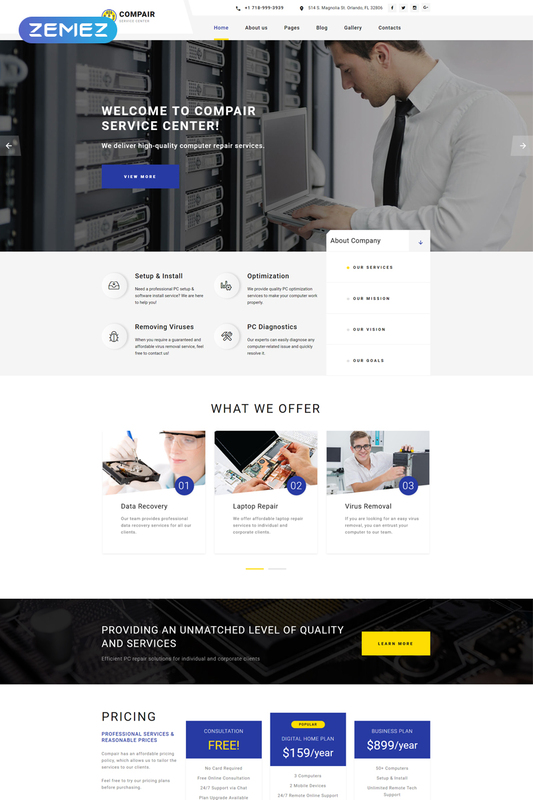 Moreover, it is a multipurpose theme and you can sell both hardware and software. You can provide customers with any IT products. Due to Joomla e-commerce plugin pack Compare provide customers with comfortable shopping. It is a good choice for any PC store or IT online shop.